The Champaign Park District maintains soccer fields in many area parks. Please visit our Parks page and search the park features for “soccer” to find a field near you! Note: the Dodds Soccer Complex is open for programming only. Due to considerable wear and tear, there are no “open play” times at Dodds. 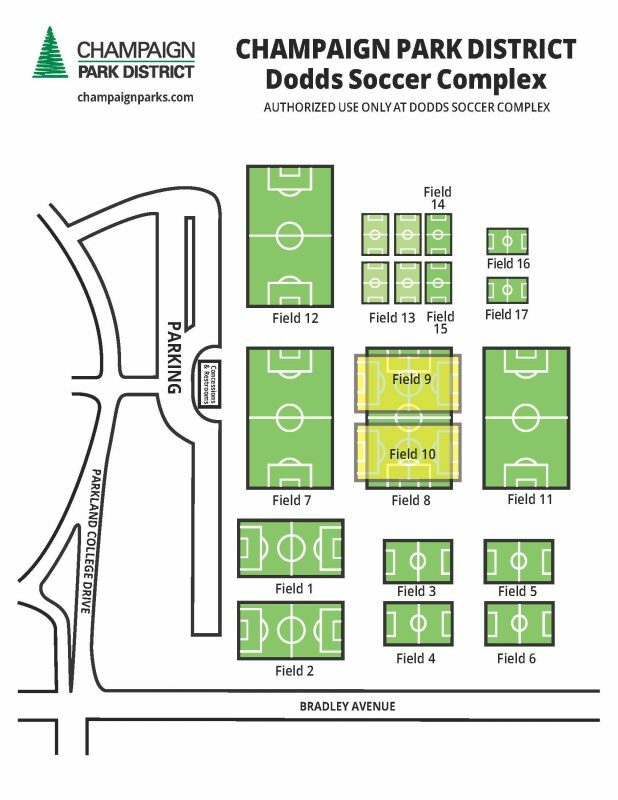 For more information about neighborhood soccer fields or Dodds Soccer Complex reservations, please call 217-398-2550. Youth Soccer Leagues are the perfect place to learn hard work, teamwork, and social skills while having a great time! The leagues focus on fun, sportsmanship, instruction, and opportunity. All players will receive approximately equal playing time. Each league uses soccer balls, goals, and fields proportional to their age as recommended by the U.S. Youth Soccer. Teams will play six officiated games on Saturdays or on weeknights (depending on the league). 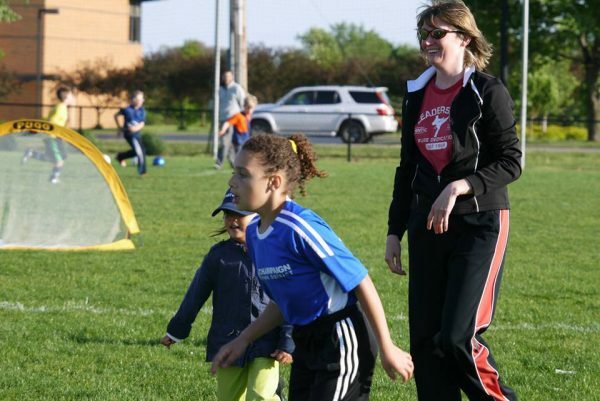 The Champaign Park District and the Illinois Futbol Club (IFC) have worked together for over a decade to provide high-quality soccer coaching to youth ages 3 through 2nd grade. Below are a list of the programs we offer in partnership with IFC. IFC does offer programming past 2nd grade, but those programs are not in conjunction with the Park District. All instruction is provided by licensed IFC coaches. Our popular Micro Soccer program is going indoors for the winter. This program offers a chance for layers to build on what they learned in the early fall or just try out soccer for the first time. All instruction is done by licensed Illinois FC Coaches. Illinois FC First Kicks Soccer is an exciting program for 3-year-olds. This program introduces players to soccer in a fun-filled learning environment. Games and activities promote soccer skill and overall athletic development. All instruction is done by licensed Illinois FC coaches. For more details on Illinois FC First Kicks Soccer please visit illinoisfc.com. The pre-kindergarten sessions will introduce players to dribbling, passing, shooting and coordination, and body movement activities in a fun-filled environment. Games and practice activities promote soccer skill and overall athletic development. All instruction is done by licensed Illinois FC coaches. For more details, please visit illinoisfc.com. The kindergarten-age Micro Soccer sessions focus on the development of each individual player, helping each player reach his/her potential in an environment with a balanced dose of fun and challenge. The curriculum emphasizes technique training that strengthens dribbling, passing, shooting, ball control, decisionmaking, and creativity. Team play is fostered through group exercises and small-sided matches. All instruction is done by licensed Illinois FC coaches. For more details on Illinois FC Micro Soccer (Kindergarten), please visit illinoisfc.com. Illinois FC Soccer Academy is a program for players in first and second grade who are looking for a more challenging playing environment. The intent of the academy is to create a bridge between the recreational player and competitive player. Illinois FC is focused on the development of each individual player, helping each player reach his/her potential in a fun-filled and challenging environment. The curriculum emphasizes technique training that strengthens dribbling, passing, shooting, ball control, decision-making, and creativity. Team play is fostered through group exercises and small-sided matches. All instruction is done by licensed Illinois FC coaches. For more details on Illinois FC Soccer Academy, please visit illinoisfc.com. Our popular Micro Soccer program is going indoors. The program is a chance for players to build on what they learned in the early fall or just try out soccer for the first time. All instruction is done by licensed Illinois FC Coaches. For more details, please visit illinoisfc.com. Class meets once a week for 5 weeks. players should bring a soccer ball if they can. Shin guards recommended. All players receive a free t-shirt. 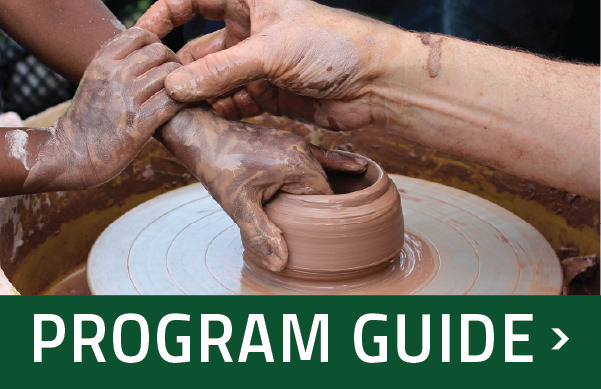 For more information, please see our Program Guide. This pre-kindergarten program will introduce players to dribbling, passing, shooting and coordination and body movement activities in a fun-filled environment. Games and practice activities promote soccer skill and overall athletic development. All instruction is done by licensed Illinois FC coaches. For more details on Illinois FC Micro Soccer (Pre-K), please visit illinoisfc.com. The kindergarten age Micro Soccer sessions focus on the development of each individual player, helping each player reach their potential in a fun-filled and challenging environment. The curriculum emphasizes technique training that strengthens dribbling, passing, shooting, ball control, decision-making, and creativity. Team play is fostered through group exercises and small-sided matches. All instruction is done by licensed Illinois FC coaches. For more details on Illinois FC Micro Soccer (Kindergarten), please visit illinoisfc.com. Illinois FC Soccer Academy is a program for players in first and second grade who are looking for a more challenging playing environment. The idea behind the academy is to create a bridge between the recreational player and competitive player. Illinois FC is focused on the development of each individual player, helping each player reach their potential in a fun-filled and challenging environment. The curriculum emphasizes technique training that strengthens dribbling, passing, shooting, ball control, decision-making, and creativity. Team play is fostered through group exercises and small-sided matches. All instruction is done by licensed Illinois FC coaches. For more details on Illinois FC Soccer Academy, please visitillinoisfc.com. The program meets once a week for six weeks. Players should bring a soccer ball, water bottle, and shin guards to each session. Soccer cleats are recommended. All players receive a free t-shirt. Illinois FC and the Champaign Park District offers Summer Micro Soccer. Players should bring a soccer ball (preferably size 3), water bottle, and shin guards to each session. Soccer cleats are optional. All players receive a free t-shirt. For more details on Illinois FC Micro Soccer, visit www.illinoisfc.com. The 3-4 year old classes introduce players to soccer in a fun-filled learning environment. Games and activities promote soccer skills and overall athletic development. The 4-5 year old classes introduce players to dribbling, passing, shooting, and coordination and body movement activities in a fun-filled environment. Games and practice activities promote soccer skills and overall athletic development. The 5-6 year old classes prepare kids for the Youth Soccer League. Focus is on helping each player reach their potential in a fun-filled and challenging environment. Dribbling, passing, shooting, ball control, decision-making, and creativity are emphasized. Team play is fostered through group exercises and small-sided matches. Challenger British Soccer Camps provide young players of all abilities with the rare opportunity to receive high-level soccer coaching from a team of international experts right in the heart of their own community. Campers will be exposed to individual foot skills, technical drills, tactical practices, small-sided games and scrimmages. Soccer skills are coached within a framework of character development based on respect, responsibility, integrity, leadership and sportsmanship. We offer a cultural education too! Our ever-popular Camp World Cup Tournament allows us to introduce players to the geography, traditions, and culture of other great soccer-playing countries. Simply put; amazing coaches, awesome accents, and cultural ingredients combine for a one-of-a-kind camp experience. Each child will receive a free t-shirt, soccer ball, giant fold-out poster, and a personal player evaluation. Supplies: Campers should bring plenty of water each day. Full-day campers should also bring a packed lunch with a beverage and snacks each day. All campers should arrive at camp with sunscreen already applied, as well as with additional sunscreen to apply as needed (we recommend an SPF of at least 30). Attire: Summer active wear, shin guards, and athletic shoes or soccer cleats. Partial rebates are available for families willing to host the British coaches. Host families needed! Host a traveling coach and receive a partial rebate! First Kicks (ages 3-4) is a fun introduction to the very basic elements of the game. Small coaching groups, lots of running, kicking, laughing, and new friends. Half-Day Recreational (ages 6-11) develops individual foot skills, technical practices, tactical progressions and small sided games. Half-Day Competitive (8-14) is for the more advanced player. These sessions offer some of the same skill building as the Half-Day Recreational with a much stronger emphasis on competition and advanced play. Full-Day sessions (ages 10-14) are for the senior player and include a high level of individual skill building, tactical instruction, and an emphasis on highly competitive game-related activities. For more information, see our Summer Program Guide.